positions it in the bottom corner. The Channel 4 logo style guide states that the logo has to be positioned at the far right and in the vertical center. Working on a billboard advertising the World Rally Championship, I decided to embrace the restriction, starting with the mandatory logo correctly positioned according to the rules set forth in the style guide, and then repeating the logo many times to form a checkered pattern, the most recognizable icon of motor sport. 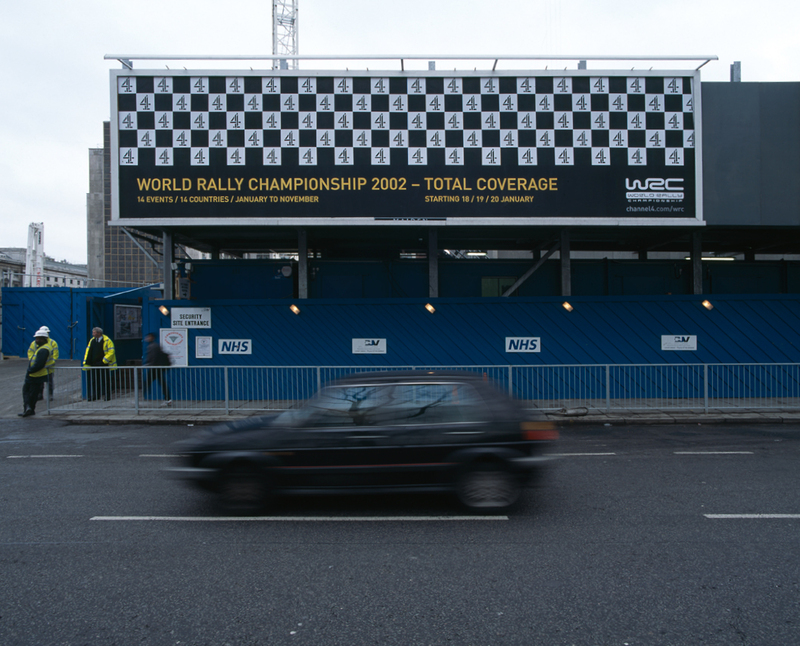 As well as informing the public about the World Rally Championship, this design also referenced the end of the race for motorists as they speed past.